A tale of civic action among a town of mice teaches lessons about teamwork, initiative, good sportsmanship, and the importance of relationships between old and young When Miss Flora visits the home of twins Timothy and Sarah, she laments to their mother that a building that was once a vibrant gathering place for the entire town is now dilapidated and considered by many to be haunted. Together, Mother and Miss Flora come up with a plan to hold a cake-baking contest to generate the money needed to refurbish the building. As news of the contest spreads throughout the town, everyone from young to old responds with enthusiasm. When the day of the contest arrives, beautiful cakes of all shapes, sizes, and flavors are ready to be judged and then sold. Young listeners and readers delight to the fantastic cakes as well as to the surprising results of the contest. Midori Basho is a Japanese children's book author. She is the author of The Birthday Present, which is the first book of 13 in the Timothy and Sarah Picture Book series. 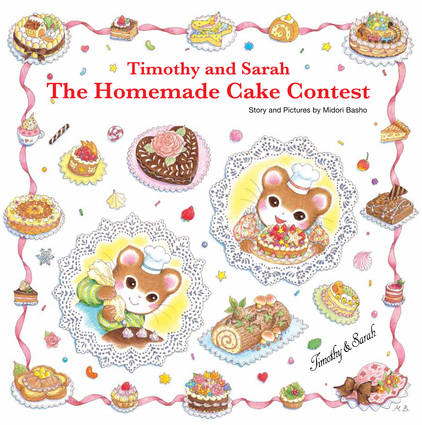 The Homemade Cake Contest is the first English translation of her work.